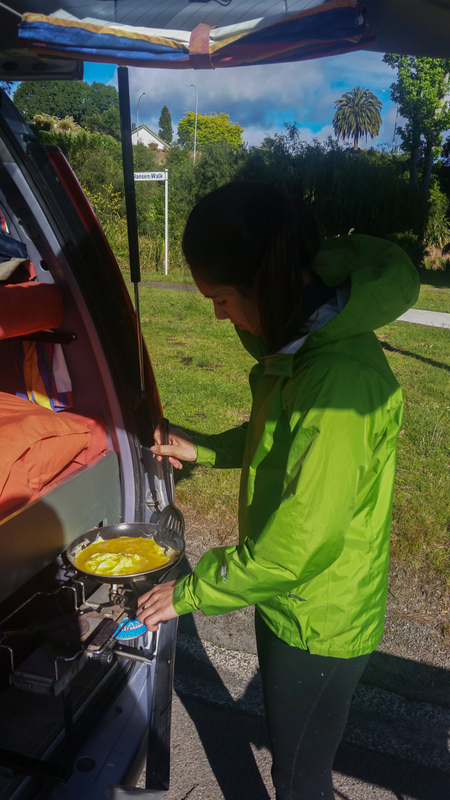 For much of November 2014 Donna and I were two adventurous and outdoors minded people living out of a van with 54,000 miles of New Zealand’s two lane roads ready to take us wherever we thought fun and excitement awaited. We didn’t have a concrete plan because we thought a stiff itinerary would stifle us. 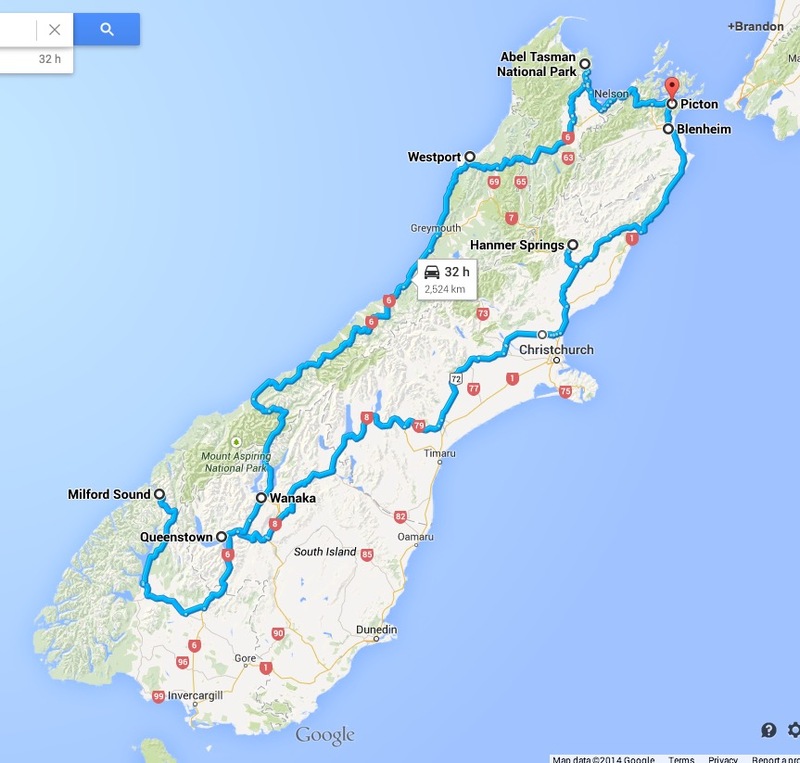 Instead we had a rough idea that we wanted to mountain bike in as many places as possible while driving from Auckland to Queenstown and back. 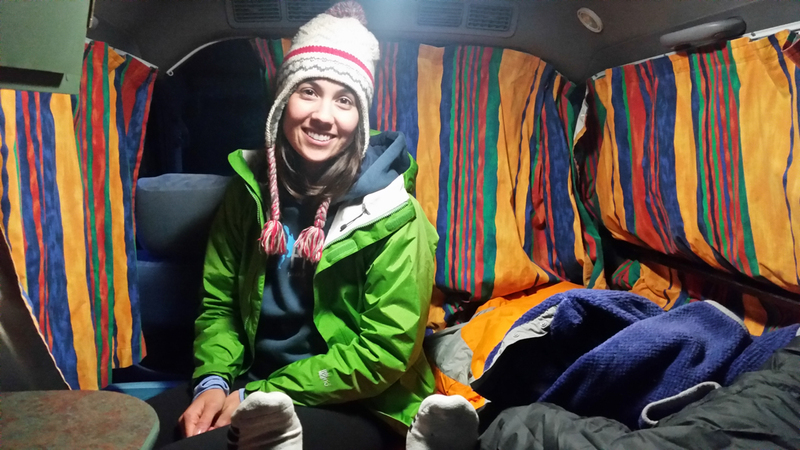 Of course we also knew that there would be much more than just mountain biking to do and part of the fun of each evening in the van was planning the next day’s route and adventure. I have to praise technology for making everything so easy: on our phones we had GPS + Google maps to ensure we’d never get lost, we had the Camper NZ app to ensure we’d find a campsite to safely park the van, we had the Internet to discover activities, locations, and for checking weather, and we could always use the local phone number to call business owners and inquire about when conditions would be best for their adventure offering. Some of our best recommendations actually came the old fashioned way, by talking to locals and fellow travelers about the awesome stuff they’d done. 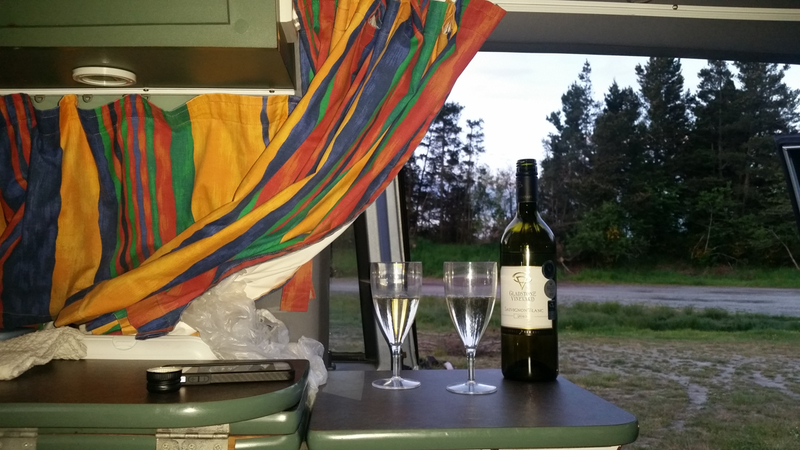 Below I describe the week or so of our travels through New Zealand’s North Island in the small campervan Donna described so well in our previous post. 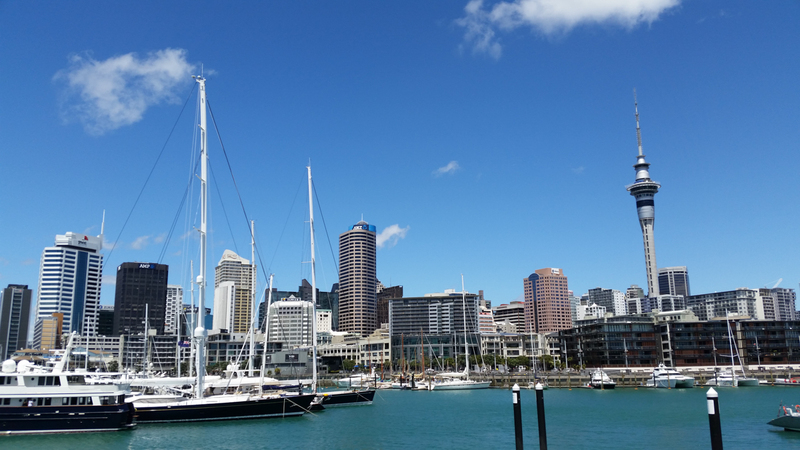 We left Auckland on a Monday afternoon after obtaining the campervan and picking up a few items downtown. While in Auckland I had at first imagined heading to the tip of Northland in order to surf a large incoming SW swell at the right points of Shipwreck Bay, but at the last minute scrubbed that plan as the incoming swell would be ripped apart by onshore winds from the very storm responsible for the waves. 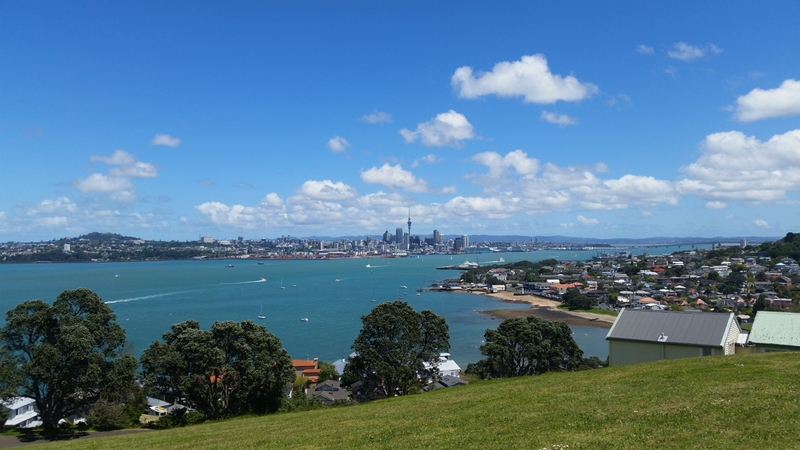 A second idea was to head to Coromandel for gorgeous beaches and mountain biking, but upon talking to a bike rental shop in that area, he recommended to me that the best mountain biking in the North Island was in a place called Rotorua. 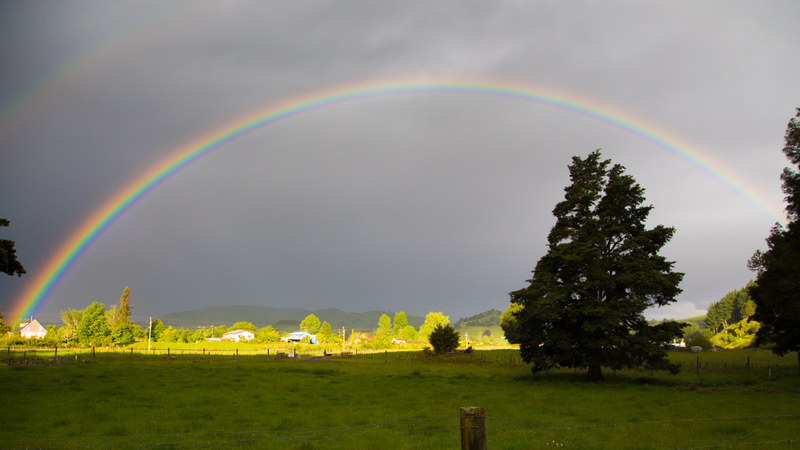 Donna’s ears perked up upon hearing this and so we decided to head southeast toward Rotorua. 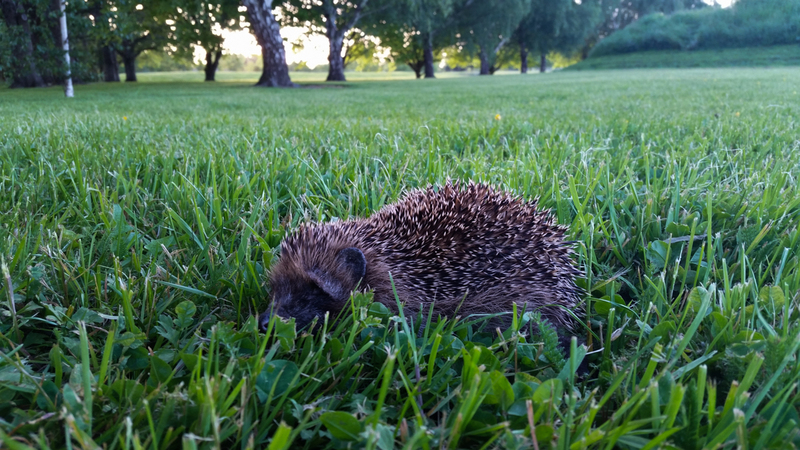 After a few hours we found ourselves in the hamlet of Matamata. 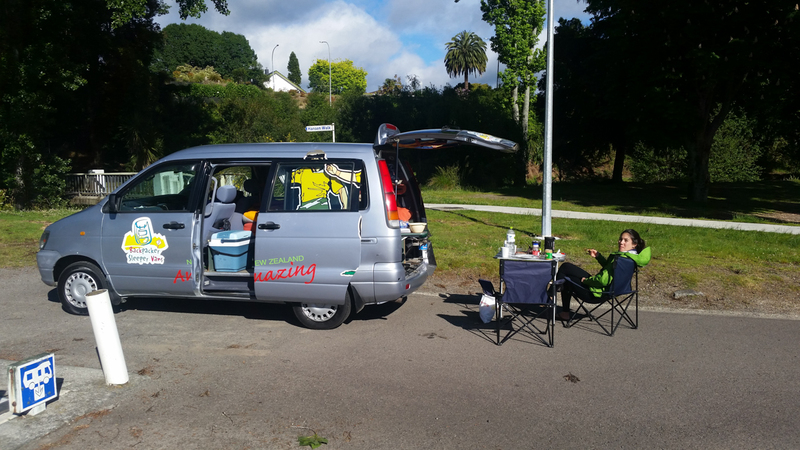 Being our first day on the road we desired to find a place to park the van before it was dark and so Donna fired up the NZ Camper app and found a place nearby. 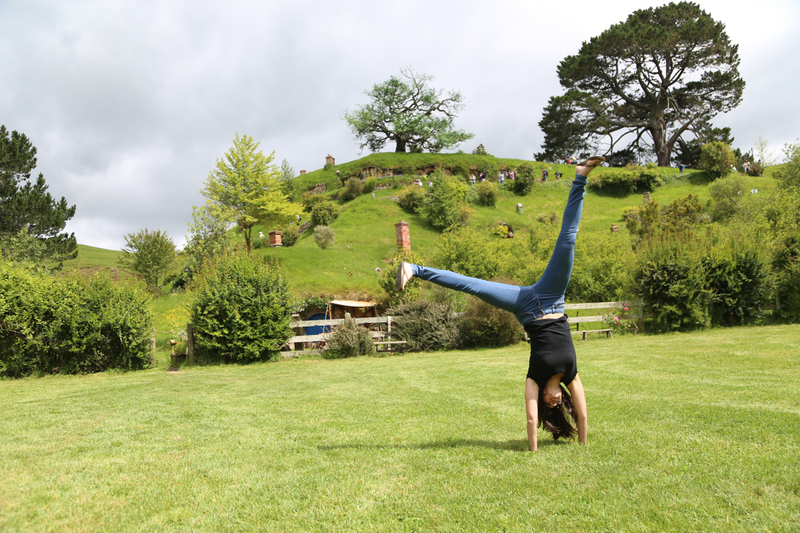 On our drive through town we saw a very hobbit-like building with a sign reading “Hobbiton Tours” and so it was that we’d struck upon our first activity for the road trip: a tour of The Shire setting Lord of the Rings and Hobbit movie trilogies. 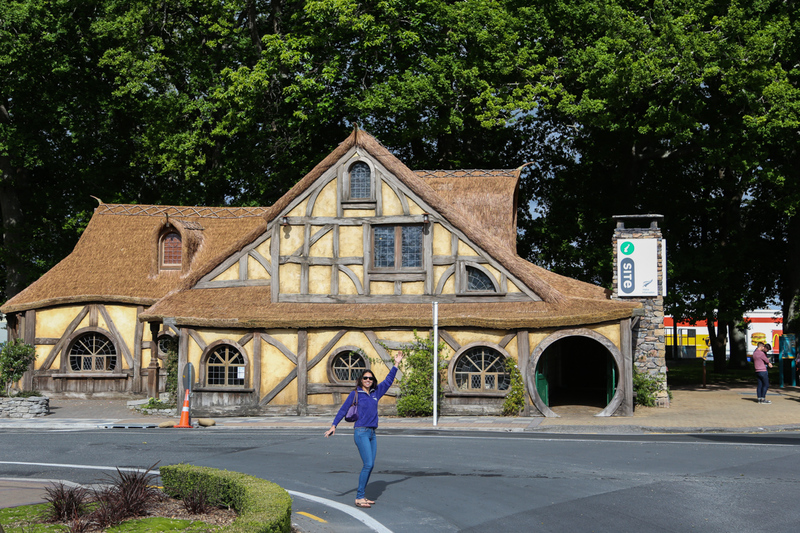 This very obvious building in Matamata perked my interest that we may be close to The Shire. 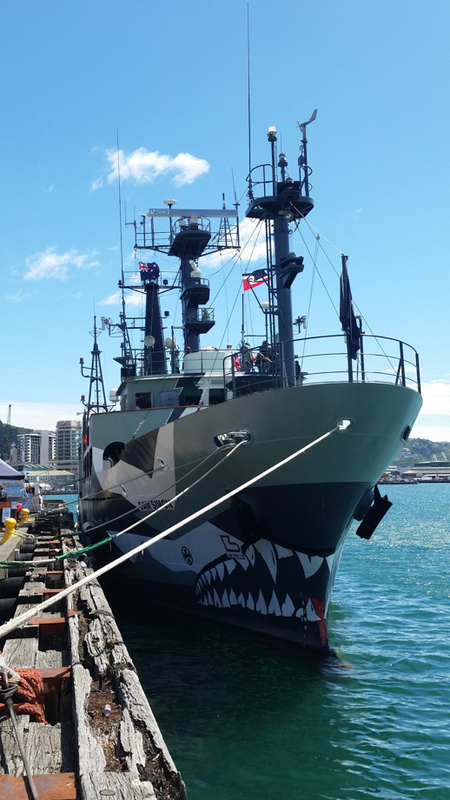 The tour seemed pricey at NZD 75 each, but it was worth it. 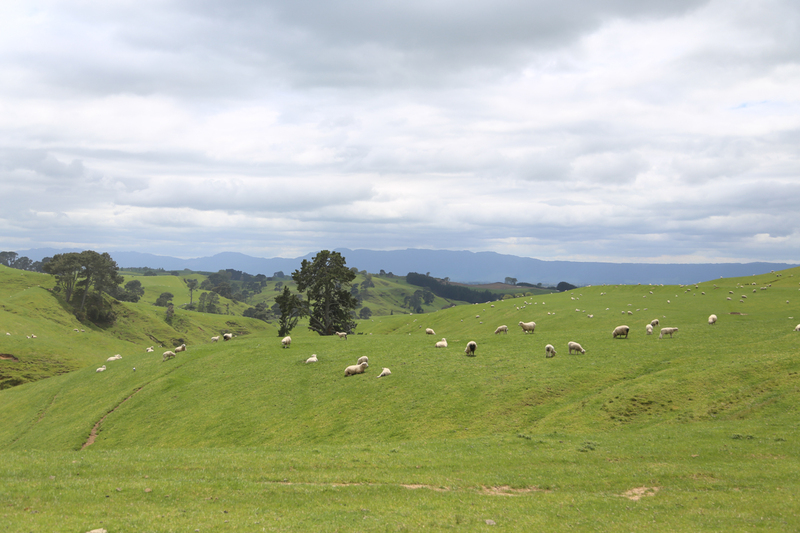 The clouds parted during our tour, which made for nice photos, and it was a hoot checking out how intricately the Hobbiton set had been created. 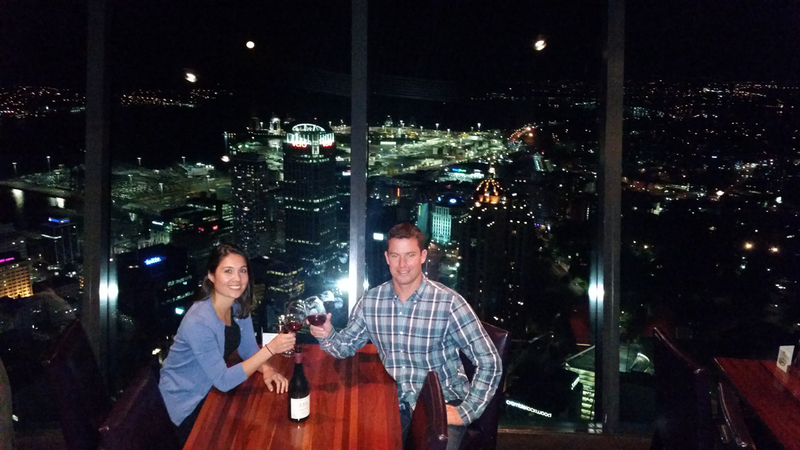 Plus it was pretty cool to randomly post onto social media a few pictures of ourselves in such a recognizable location. My roommate Trevor identified The Shire location within seconds of seeing the photo. 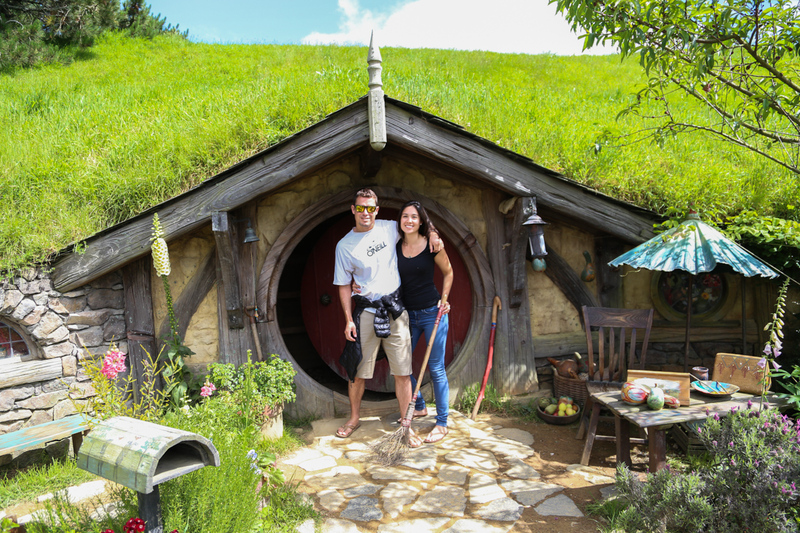 Donna and I posing in front of a Hobbit hole. 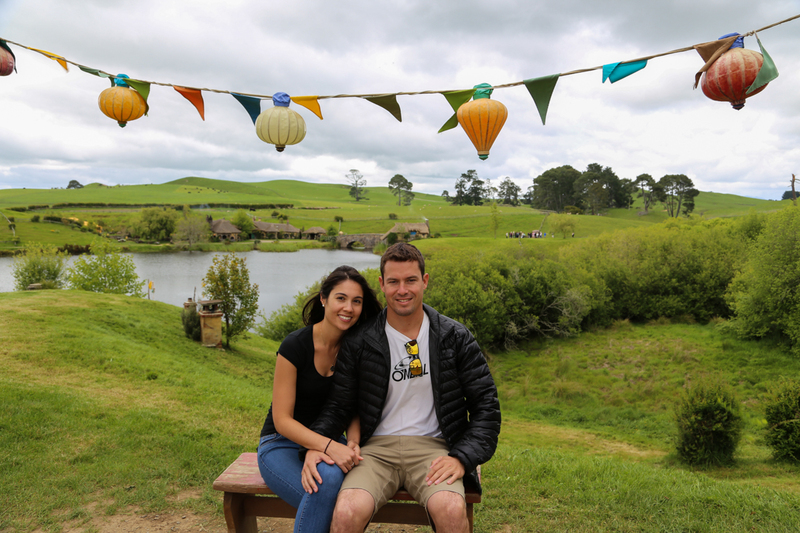 Hobbiton, straight from the movies! 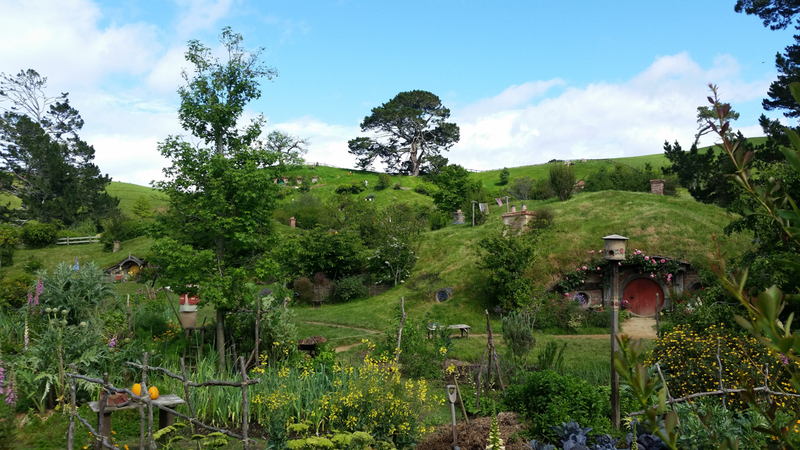 The site of Hobbiton is on the Alexander’s Farm. This is pretty much a sheep paradise! When Donna is really happy, she does cartwheels! 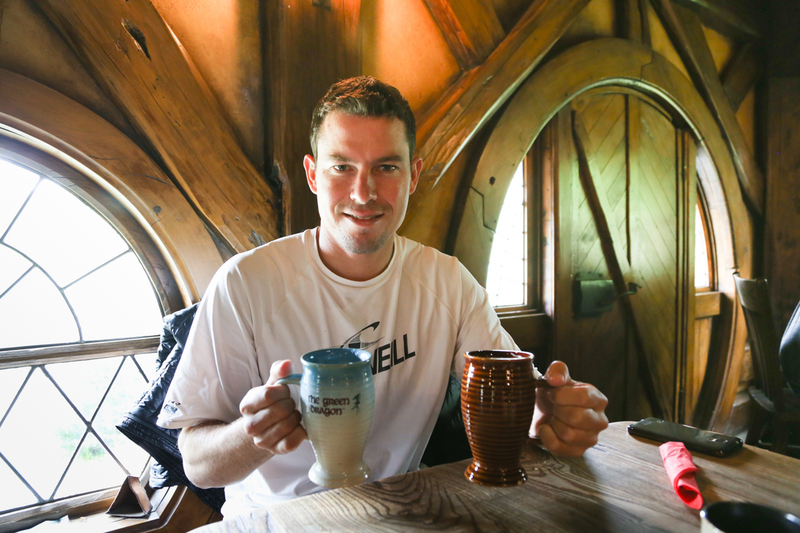 After the Hobbiton tour we drove straight to the mountain bike park near Rotorua. 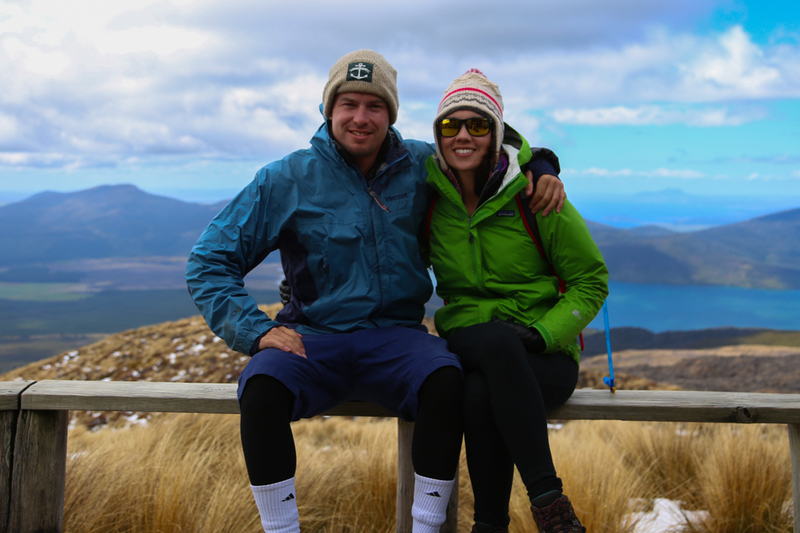 We were not disappointed, this was by far the best mountain bike park I’d ever been to and overall Donna and I agreed it was our favorite in all of we visited in New Zealand. The cost was only 45 NZD for each of us to rent full suspension bikes for a half day. The shop owner gave us a map and showed us few good routes through the park, explaining that each trail was marked as one-way, either up-hill or downhill, so that you are assured never to have to deal with oncoming traffic. I wonder why I haven’t seen this anywhere in the US?! The trails flowed wonderfully though the Whakarewarewa Forest of mixed of fern and pine groves. Dirt logging roads often made for easy ascents. We biked hard for several hours and returned exhausted but stoked. At first Donna was abhorred that logging was so prevalent in the pine forests we saw while mountain biking in Rotorua and throughout New Zealand. But to our surprise we learned pine trees are in fact an invasive species in New Zealand, introduced in the time of English colonization because pine trees grow quickly and are perfect for harvesting wood for construction. 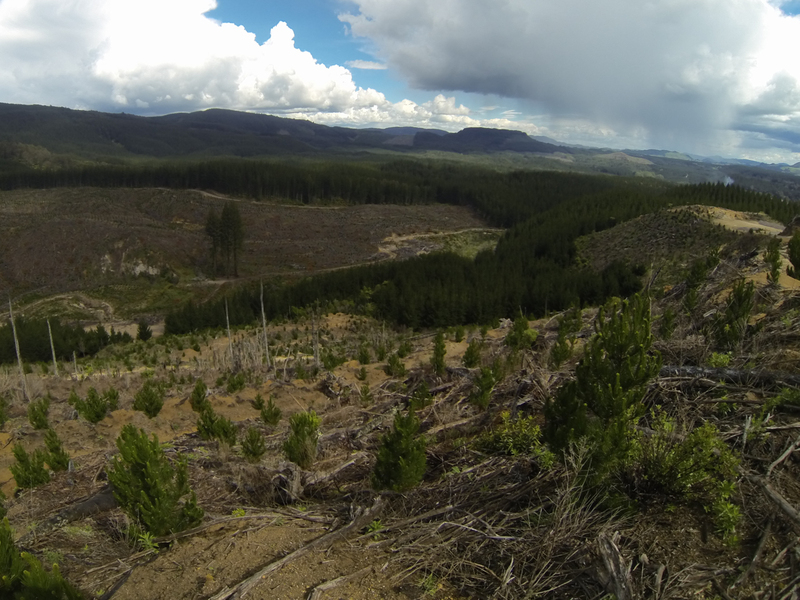 The invasiveness of the pines means that to the Kiwis it is not so sad that large swaths of pine forests are routinely planted and cut down in a largely sustainable forestry industry. The forests native to New Zealand look different: there are no pine trees and instead you’ll see a more Jurassic looking fauna dominated by ferns and more twisted, smaller trees. In some places you can find a dramatic line of demarcation where a pine tree grove meets a native forest, both seemingly edging out the other for dominance. In other locations naturalists even poison pine trees in an attempt to rid restore the land to its original state! Once we learned this we were less alarmed by the logging, athough for us it was still hard not to be sad when seeing land scarred by cut down pine forests. At a great lookout point in the Rotorua Mountain Bike Park. Lake Rotorua and the town are in the background. 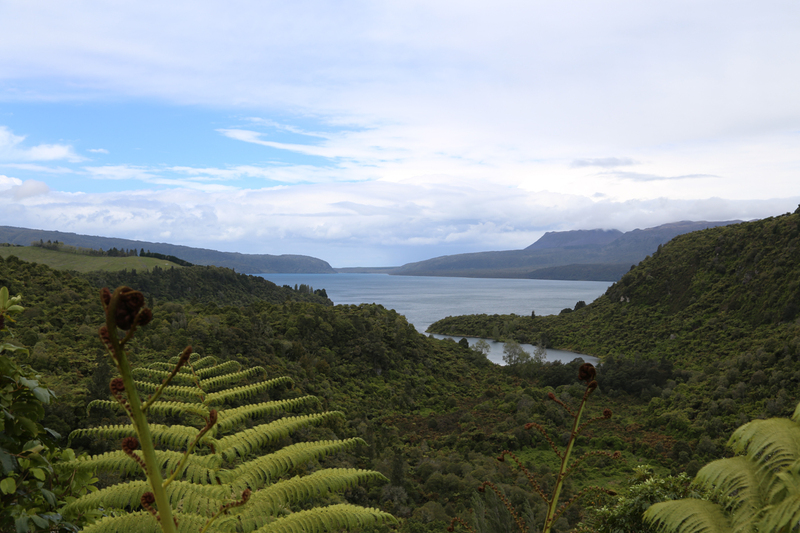 At a coffee shop in town the next day saw a painting of a beautiful lake and learned from an employee that this was Lake Tarawera and that it was nearby. In this way we decided to set off on a drive to find Lake Tarawera, and we also found two other beautiful lakes, called the Green and Blue lakes. 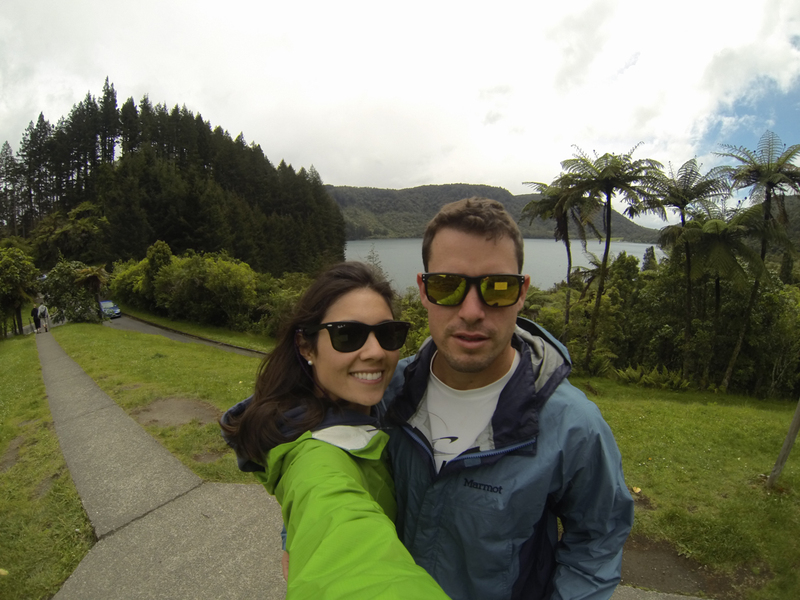 At some point I learned of the Tarawera Waterfall and I became intrigued so Donna and I decided to check that out too. To get to the waterfall we had to drive to the small town of Karewua and then the next morning drive into the national forest and to do a short hike to the falls. 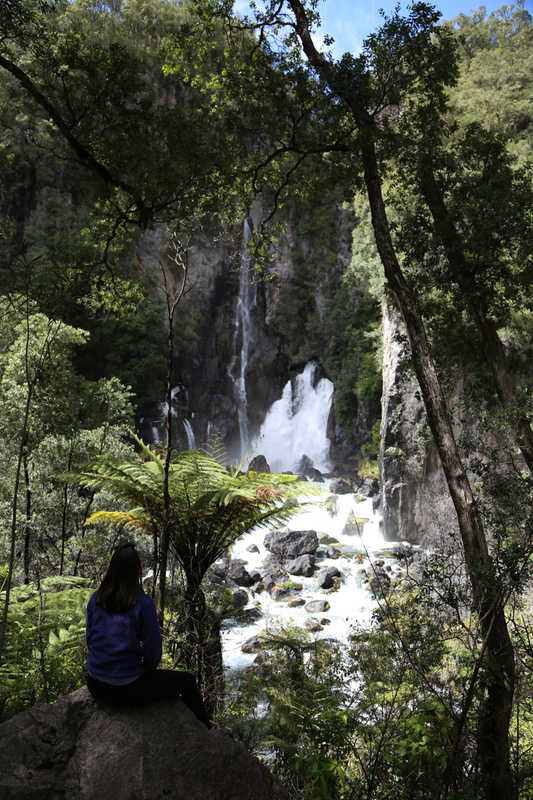 The site of the waterfall is a sacred place to the Maori people, who were especially fascinated by the waterfall eminating directly from the side of the large rocks. This is caused by underground lava flows having carved tunnels that the stream descends into just before coming to the rock ledge. 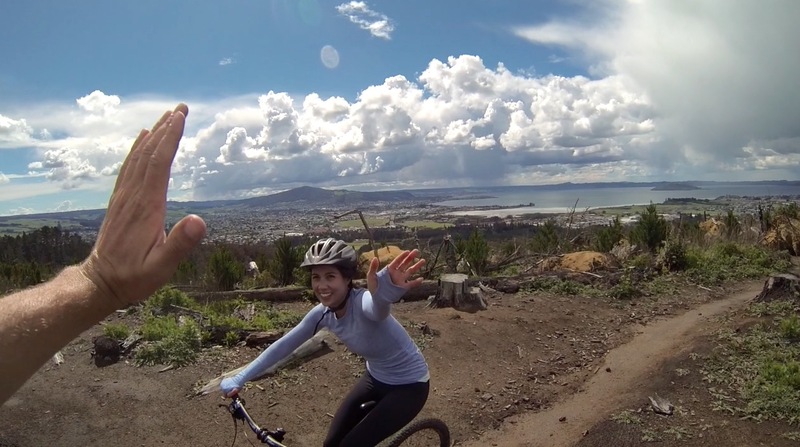 After the waterfall hike we couldn’t resist the temptation to go for another half day in Rotorua’s mountain bike park. It was so fun! Immediately after finishing the ride we hit the road towards our next destination. 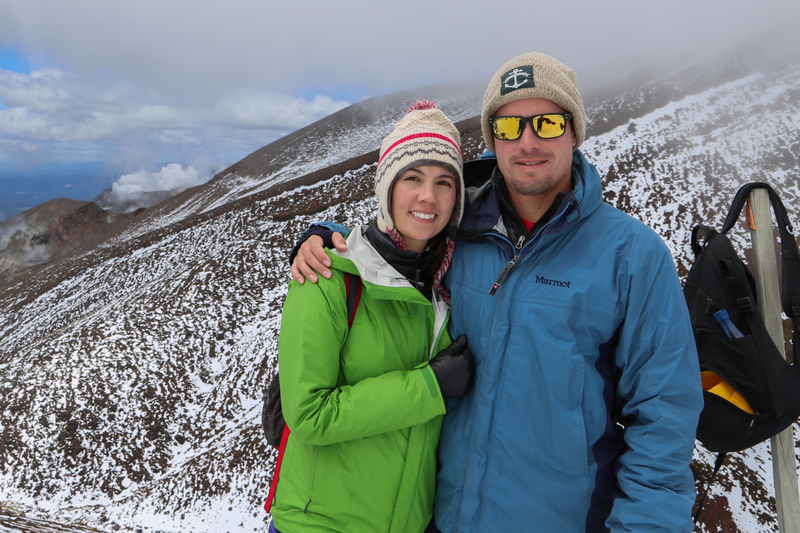 The next adventure we set out for ourselves was to make the Tongariro Alpine Crossing. 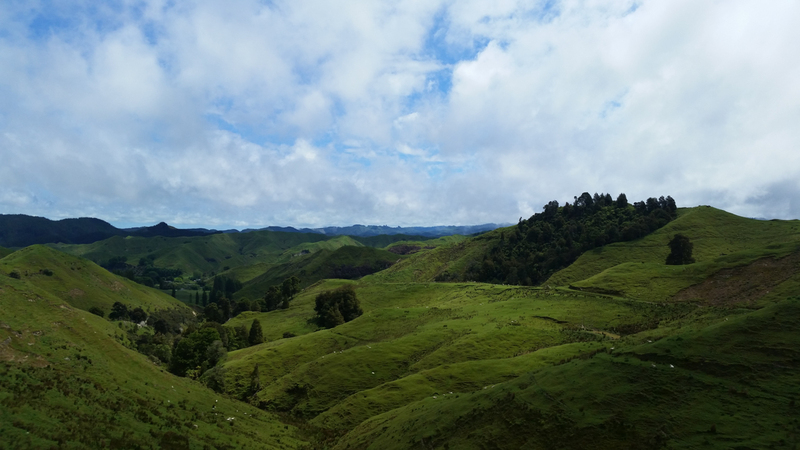 I first heard about the trek at Hobbiton, where it was pointed out that the alpine landscape of Tongagiro National Park was used in Lord of the Rings as the backdrop for the evil land of Mordor. 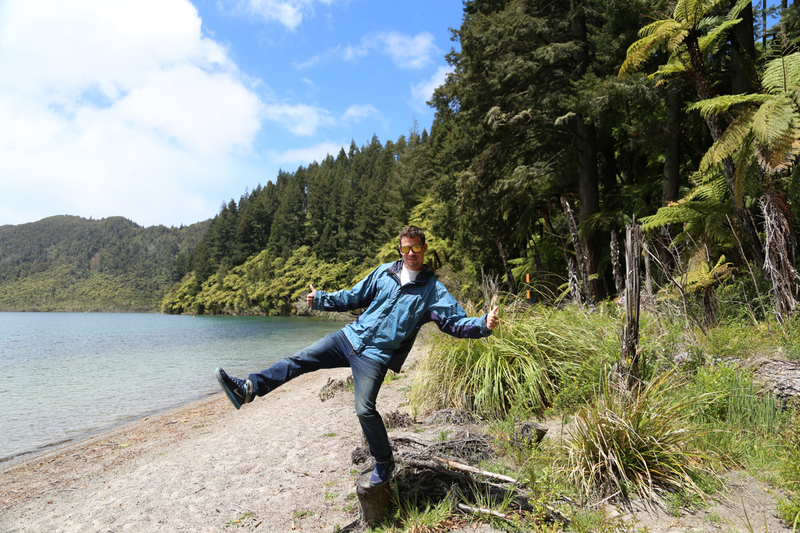 Later I found out the trek is one of New Zealands 7 “Great Hikes”: read about them all here at this link. 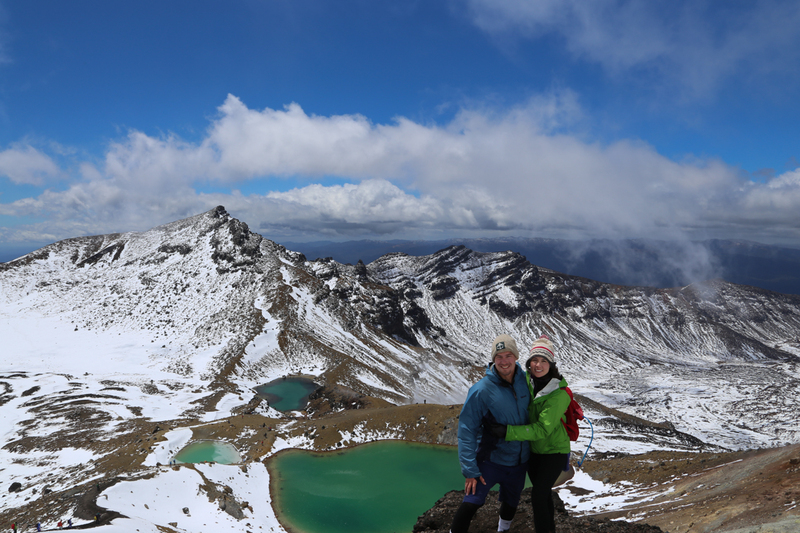 The single day Tongariro hike is a 20km route that weaves up, over and between volcanic peaks in an alpine environment. 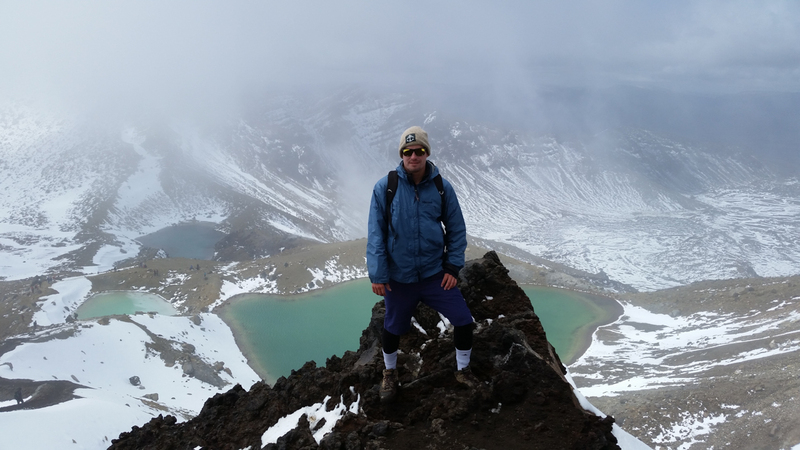 As the highest part of the North Island the vistas are awesome and you encounter unique sulfuric lakes that are a brilliant blue color as well as areas of active volcanic acitivity. We linked up with a tour bus company that dropped us at the foot of the trail and picked us up 7 hours later after we made the crossing. 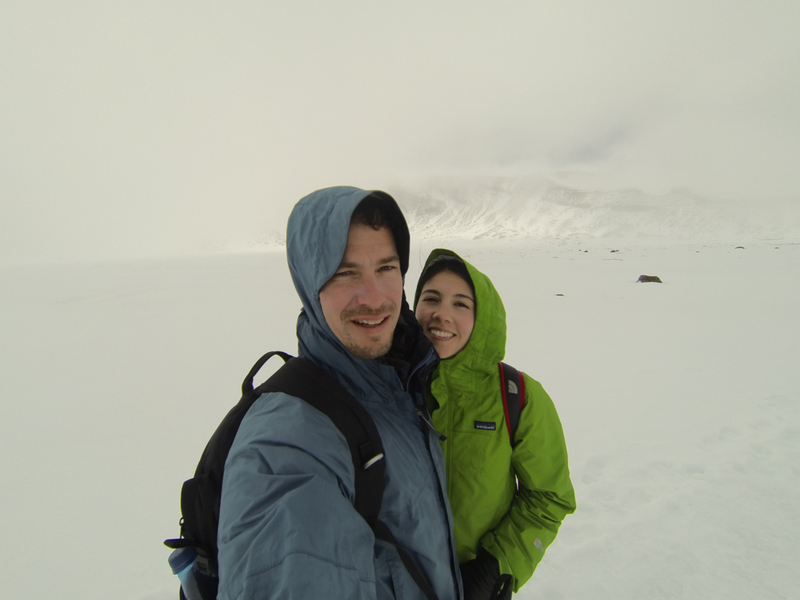 The weather was far from perfect as it started off cloudy and with strong, icy winds just before we passed the highest point. Fortunately, things cleared up as soon as we arrived to the lakes and for the second half the weather was mild and pleasant as we descended from the alpine into the temperate forest below. The tour operated told us we had actually been lucky with the weather, as few had made the cross the past 5 days due to snow and bad conditions. We were stoked! The sulfuric lakes were a brilliant blue/green color. After the hike we treated ourselves to our first night in a hotel, where we took long, hot showers, and relaxed after a long day. 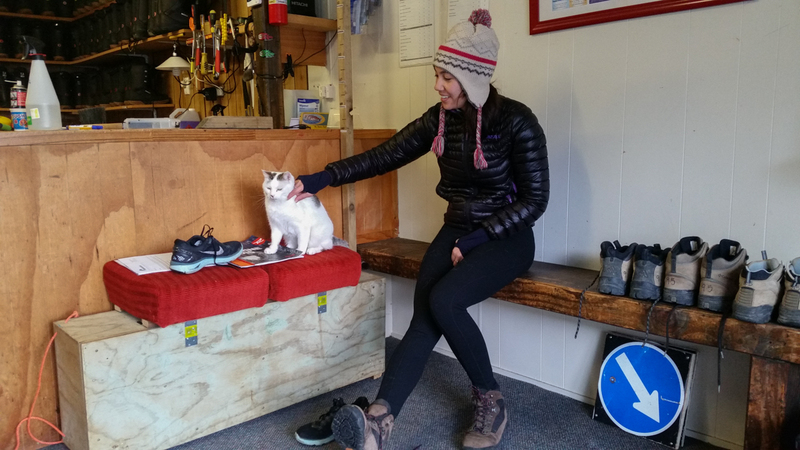 Donna made friends with Queenie, the resident mouse-killer of the hotel, while I had a beer at the local pub where I learned more about New Zealand from the owner and bartender. By this point we were four days into our road trip and we’d only made it half way down the North Island, so it was time to make some way south. That morning during breakfast Donna and I met two ladies our age, one from Norway and the other from Spain, who were trying to catch a bus that day to Wellington in hopes of catching the Rugby League Final* that night, with Australia challenging New Zealand for the title. Donna’s friend Prashant encouraged us to check a game out and this seemed like the perfect opportunity, so we came up with our next plan: drive down to Wellington to watch our first rugby game. Everything worked out perfectly. As soon as Donna and I showed up we drove straight to the stadium and bought our tickets. 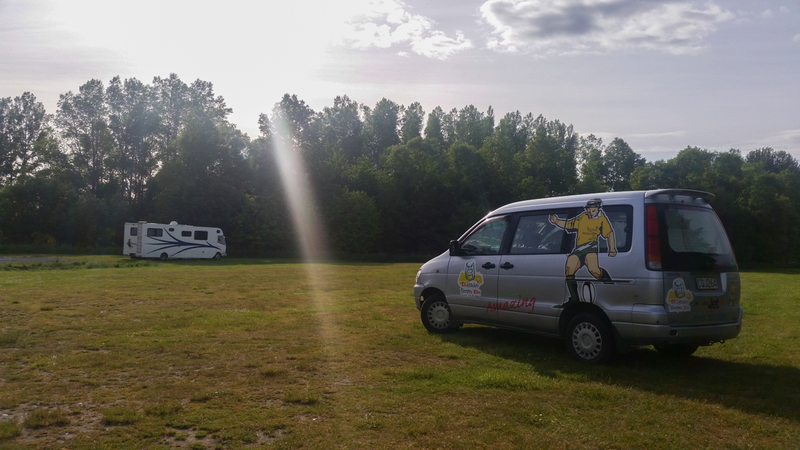 Once in town we found a campervan park, literally right in the downtown waterfront area – only in New Zealand! We explored the downtown scene a little then headed to the game. The pre-game show included the Kiwis doing a Haka dance, which is a Maori war chant meant to instill fear into the Kangaroos. The game itself was fast-paced and we were both amazed with what momentum the players would hurl themselves with at one another. 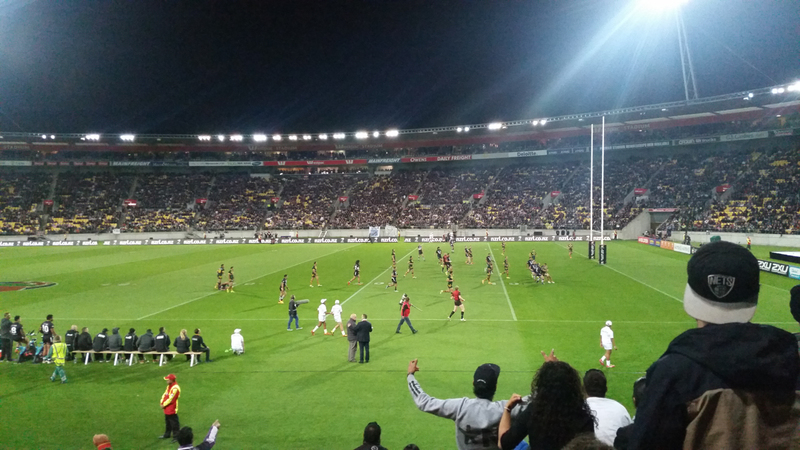 In an exciting game that came down the last minute, the Kiwis won! So we headed back into town with the crowd and checked out a few bars before calling it a successful night of New Zealand culture. 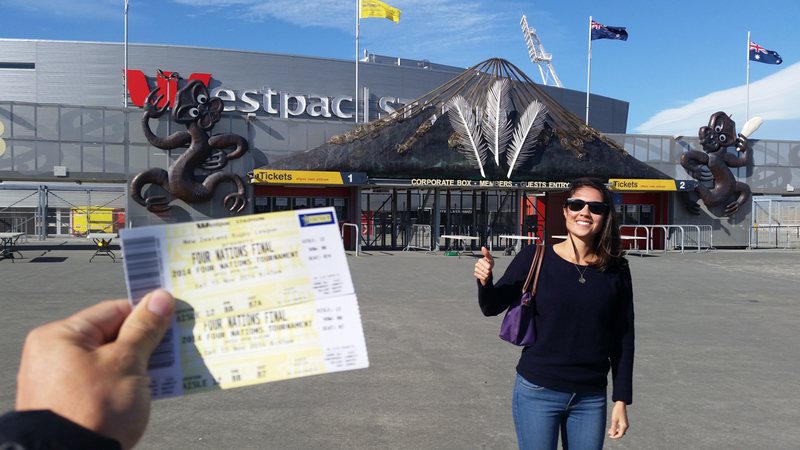 Just after we bought our tickets for the Rugby League Finals. Wellington reminded me of SF, with a reminiscent downtown are just adjacent to a beautiful Bay. 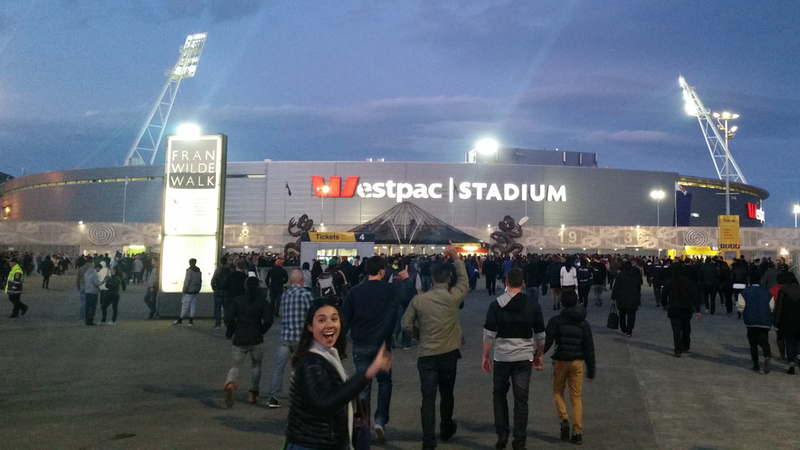 Hordes of Kiwi Fans heading to the rugby match. 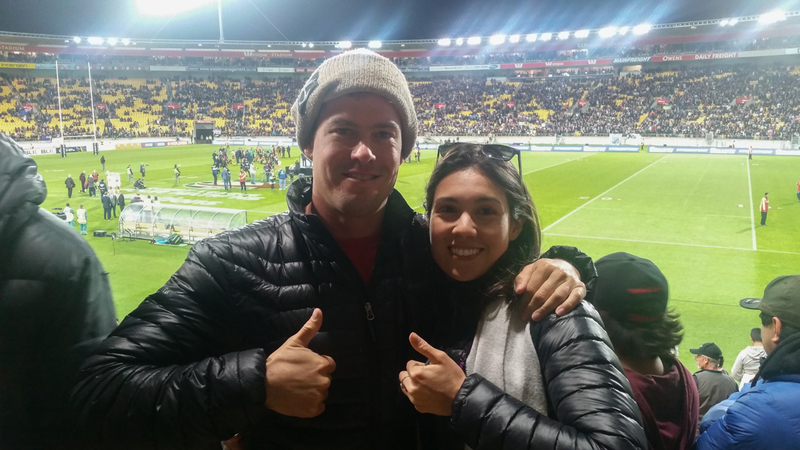 Stoked that the Kiwis won! 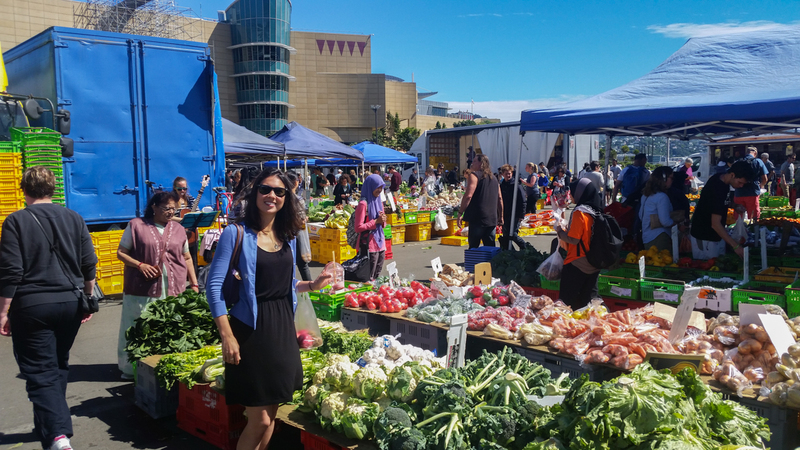 The next morning before heading out to wine country, we grabbed fresh produce at the Wellington farmer’s market. 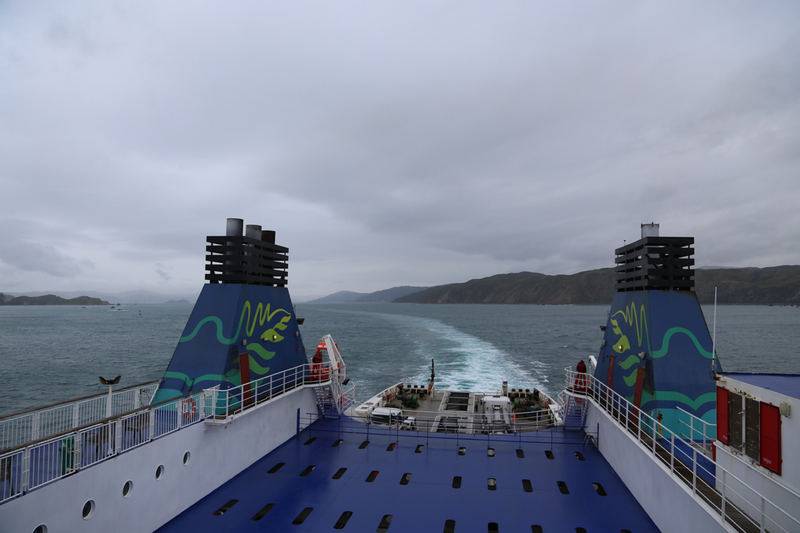 While in Wellington we purchased a ferry ticket to take the van and ourselves to the South Island. 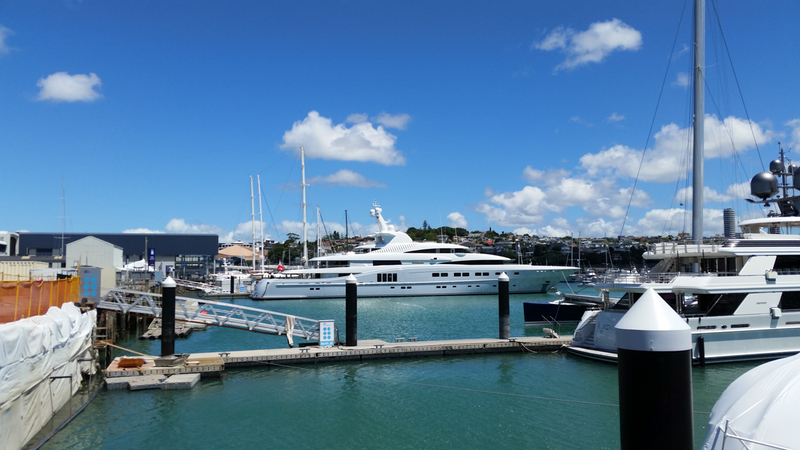 However, our ticket was for Monday afternoon, so we had a day to kill, so we decided to head to the North Island’s premier Sauvignon Blanc wine country. 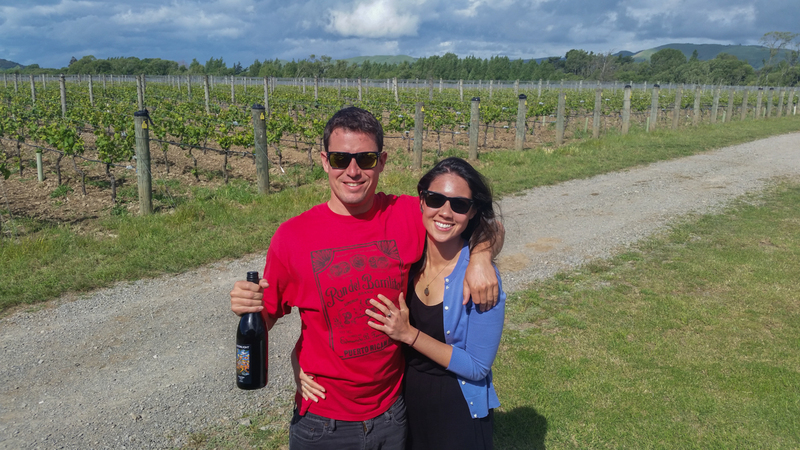 We learned that there would be a wine tasting festival in a famous wine town called Martinborough, only about 2 hours drive from Wellington. When we arrived we saw that the event was clearly awesome, the weather was nice and everyone was dressed up for wine tasting with buses to shuttle people to the various wineries. 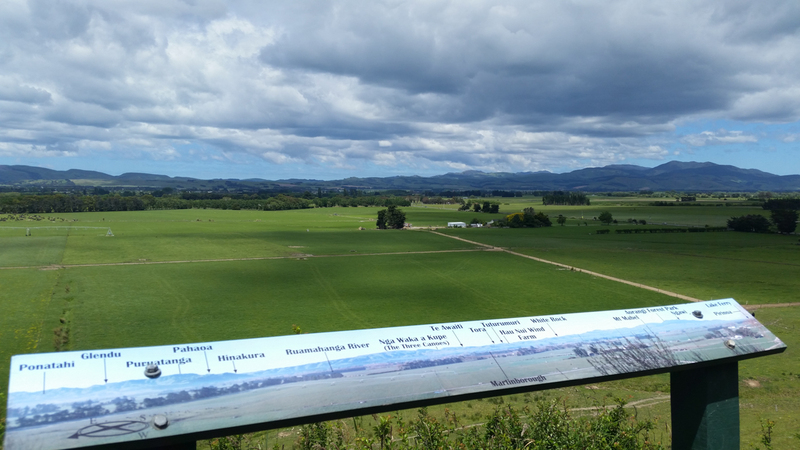 However, Donna felt the price was too high at NZD 75 just to attend, plus at least another NZD 100 more in “tasting tickets”, so instead Donna led us off to visit a few wineries in the nearby town of Masterton instead. 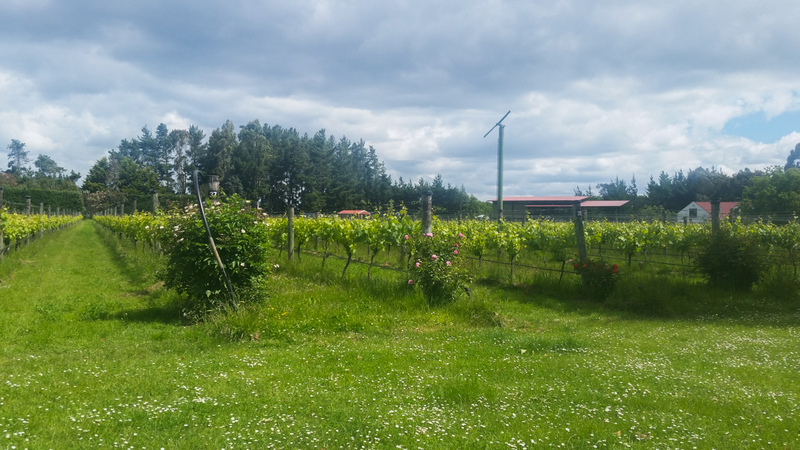 Near Masterton we found 2 quaint wineries: Gladstone Vineyards and Johner Estate. The experience at these wineries was better for us because not only were they completely, but also in both cases we had the undivided attention of the wine representative who enthusiastically took us through any wines we wanted to taste from their winery. 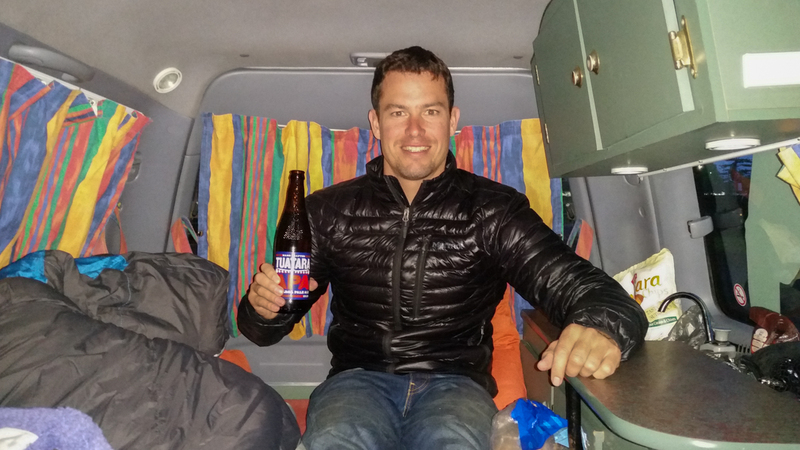 We walked away a bottle of Sauvignon Blanc from Gladstone and a Pinot Noir from Johner, both of which we drank in the van through during the road trip. That evening we pulled into a freedom campsite at a park in Carterton. 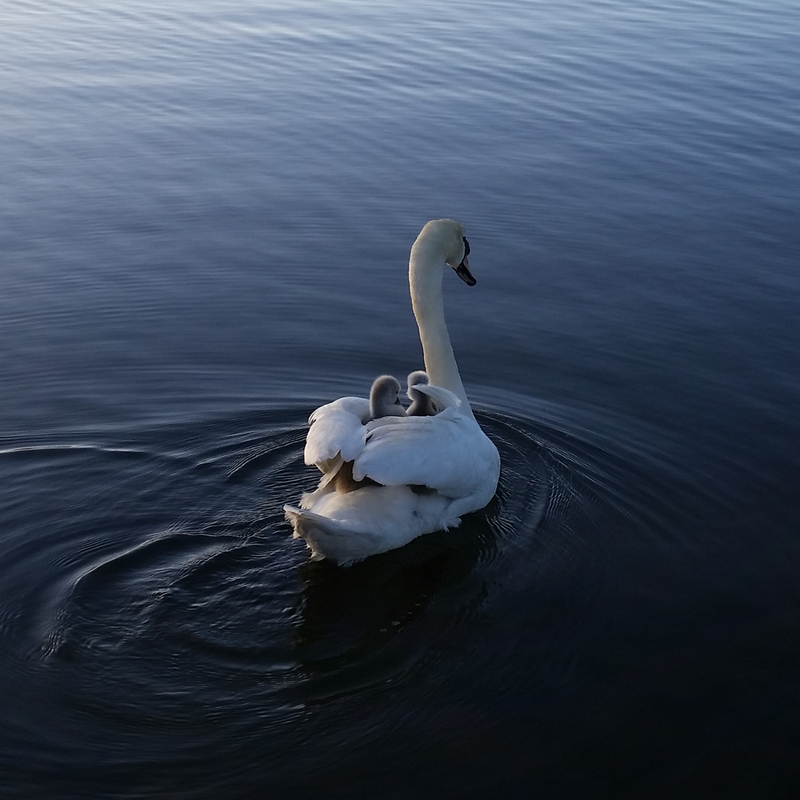 We walked around the large lake and observed a huge variety of waterfowl, including white swans, black swans (yes, they exist! 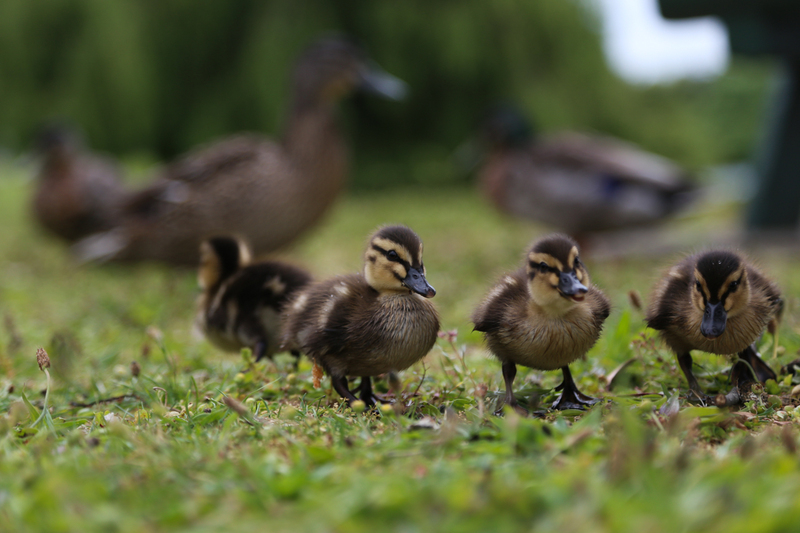 ), ducks, and various types of ugly geese. 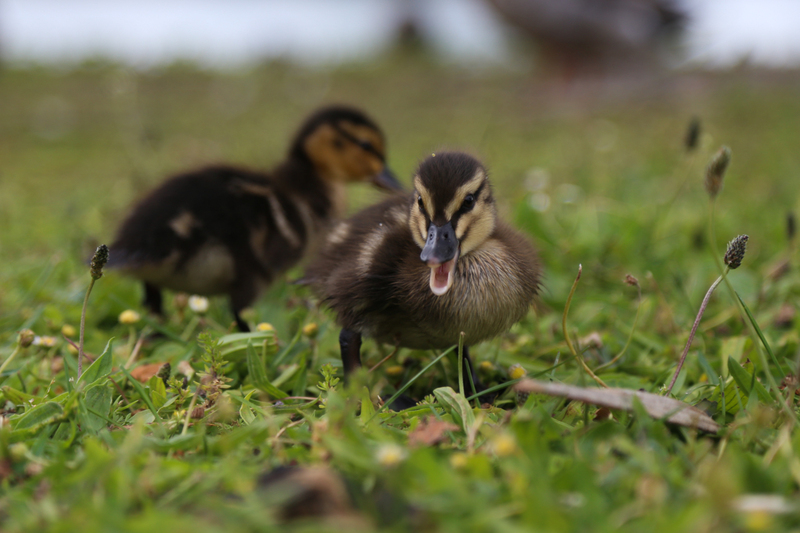 The next morning while we made breakfast we fed the ducks and I got some cute photos Donna feeding a mother duck and her four ducklings – so precious! Big time duck feeding went down this morning. 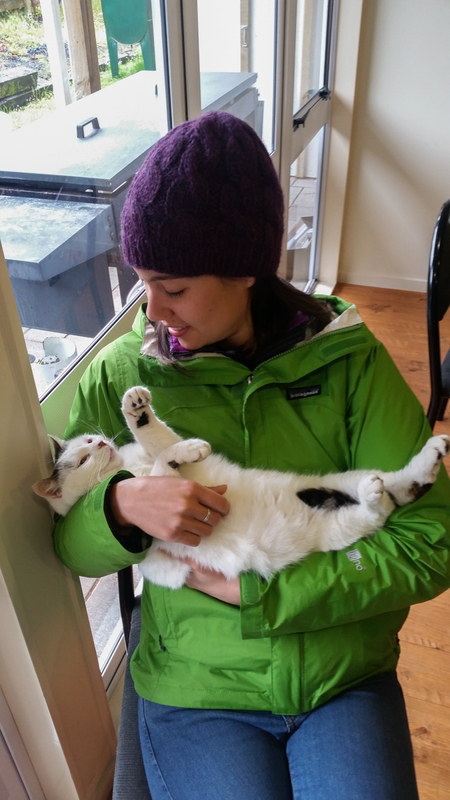 Donna couldn’t resist the cuteness. 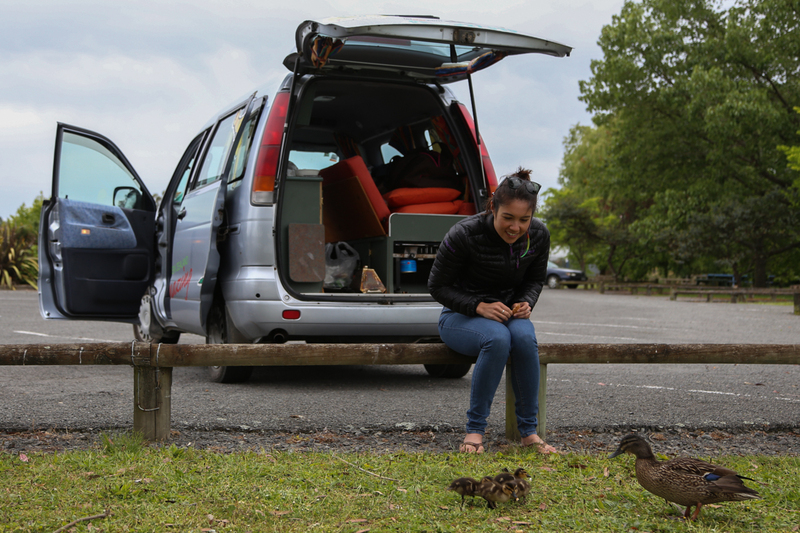 After the duck-feeding morning, we drove back to Wellington and drove our campervan onto the Ferry to Picton. 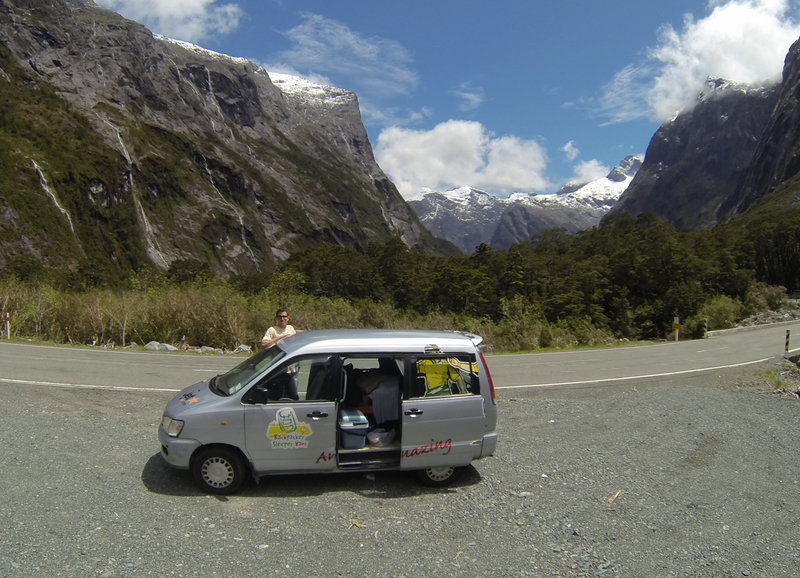 For our small van plus us to cross to the South Island with us cost about NZD 250. 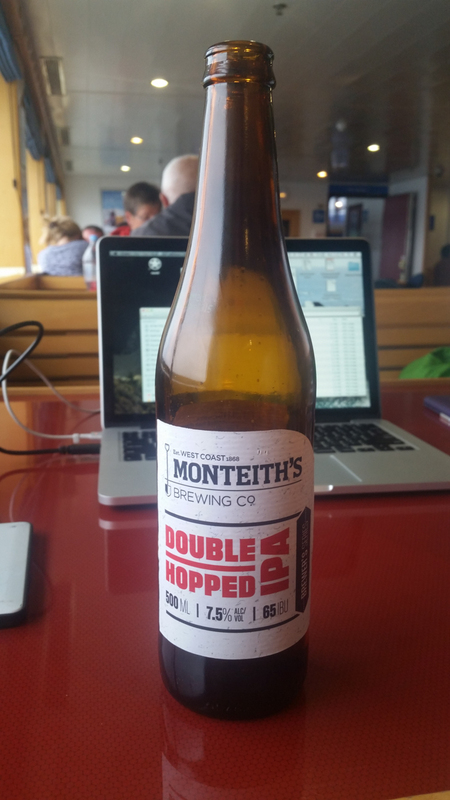 The Ferry ride was on an overcast morning but I enjoyed a breakfast IPA and couldn’t keep my eyes off the scenery as we we glided through the Sounds towards the more spectacular of the islands of Aotearoa. 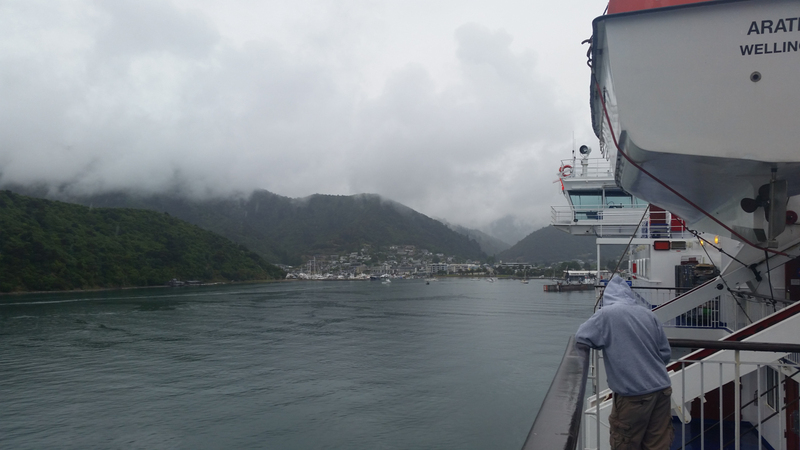 At this point in the narrative, I’ll skip over all of the South Island, which will be covered in the next post, but in keeping with this being the “North Island” post, I will pick up once we returned to the North Island after spending nearly 2 weeks on the South Island. 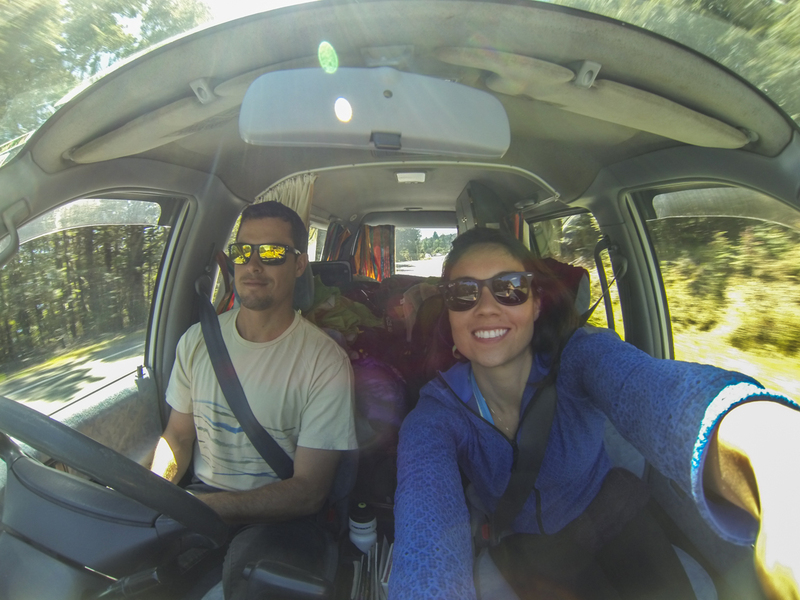 We were back on the North Island for less than 48 hours, needing to drive back north to Auckland in order to return the van and catch a flight to San Francisco. Nearing the last day of our New Zealand trip I still hadn’t surfed, but I finally saw a good window of weather and swell for New Zealand’s most famous break, Raglan. 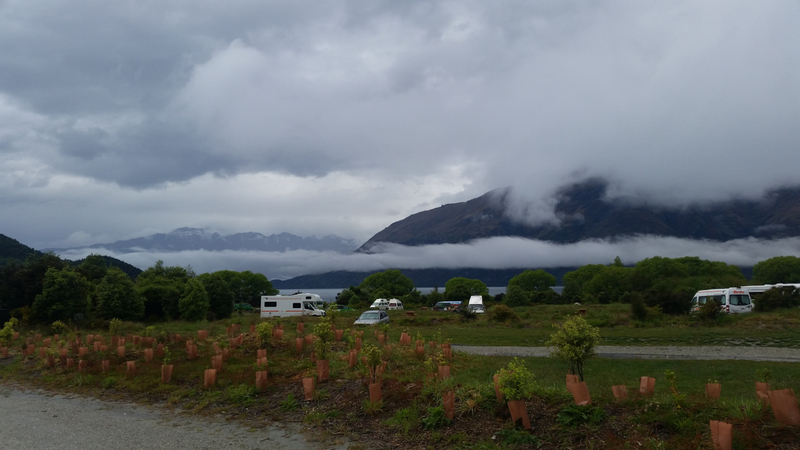 For pretty much the entire time we were on the road, New Zealand was in a weather pattern that would see a low sweep to the NW across both islands, dropping inches of precipitation and bringing strong SW winds, so that most any west coast spot would be blown out. After the storm and rain we would see a day or two of decent weather before the next system moved in. 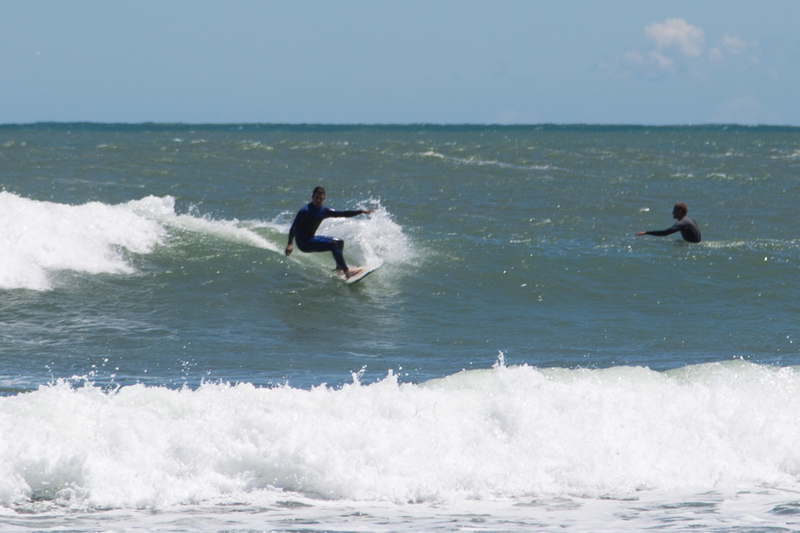 Meanwhile late spring is the worst season for east coast waves as there were no storms below Fiji, in the Coral Sea or in the Pacific west of New Zealand. The window of good surf I saw meant I’d be surfing in the morning and heading to the airport that afternoon and I was stoked of the idea of leaving on a high note. 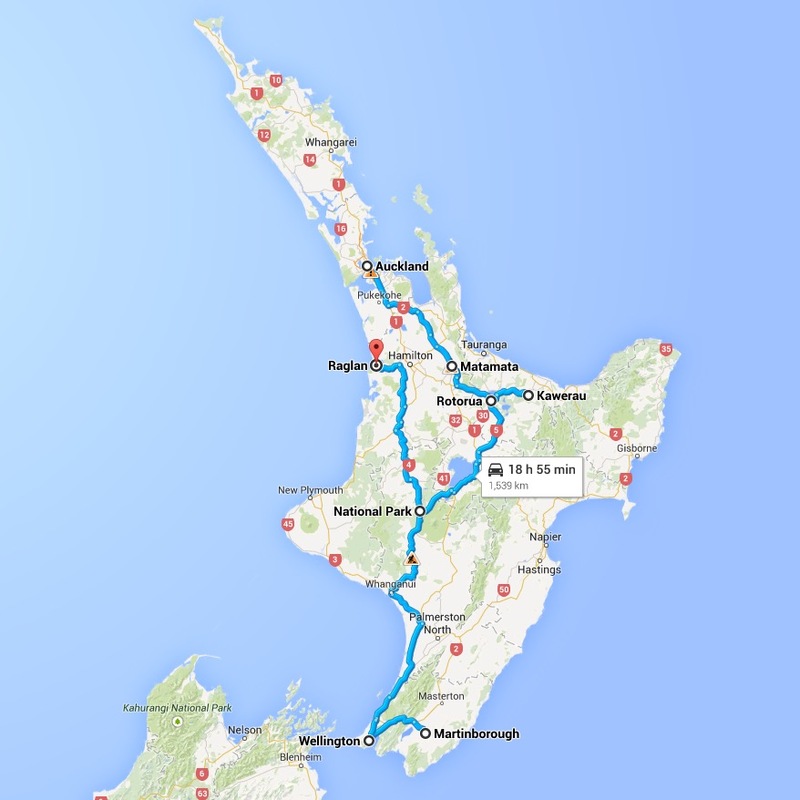 We crossed from the South Island back to the north island and spent all day driving straight north to Raglan. 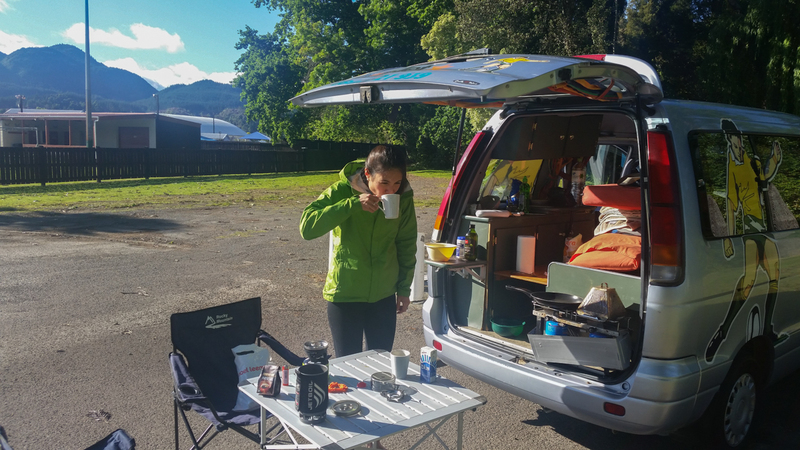 We parked our campervan for its final stop right in town and spent the early morning packing all our gear and cleaning the van in preparation for leaving that afternoon. 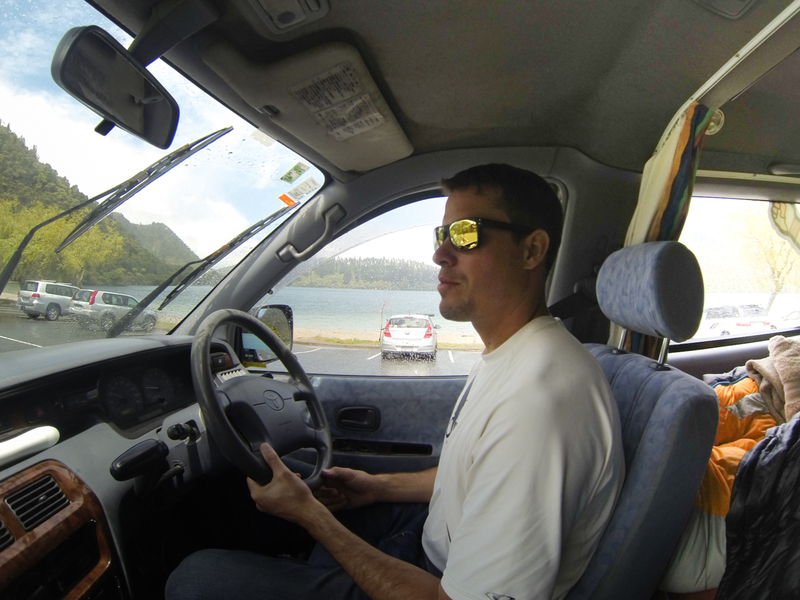 On the way to Raglan I stopped by a surf shop and rented a fun looking fish and a wetsuit. 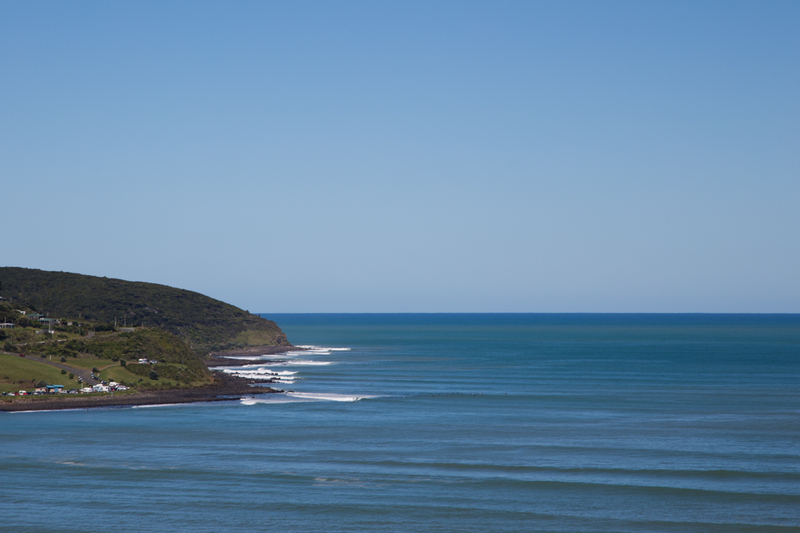 We pulled off onto the first vista and I had my first view of the perfect point-break setup that produces such good waves at Raglan. 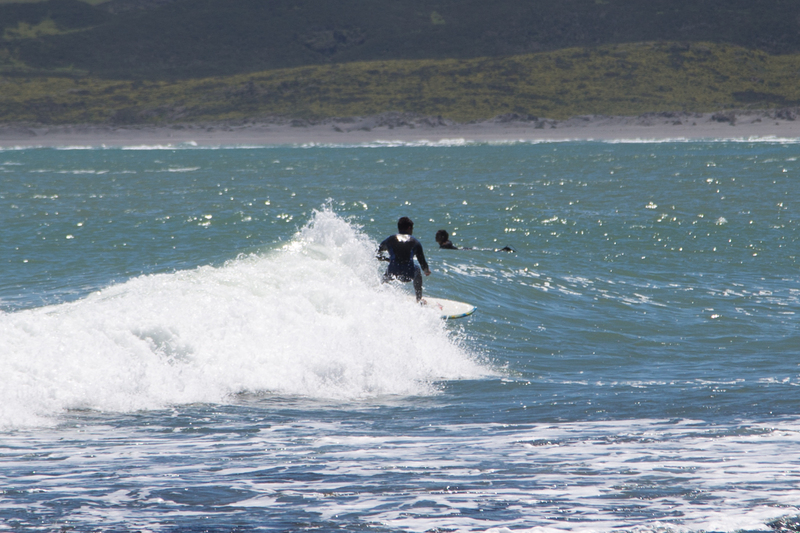 I could see surfers dotting the lineups from Manu Bay all the way and well over a mile though Indicators. Because I didn’t have much time I just opted for the easiest to find but also most crowded lineup at Manu Bay. Donna was happy to be by the beach and took a few photos with my big SLR camera. 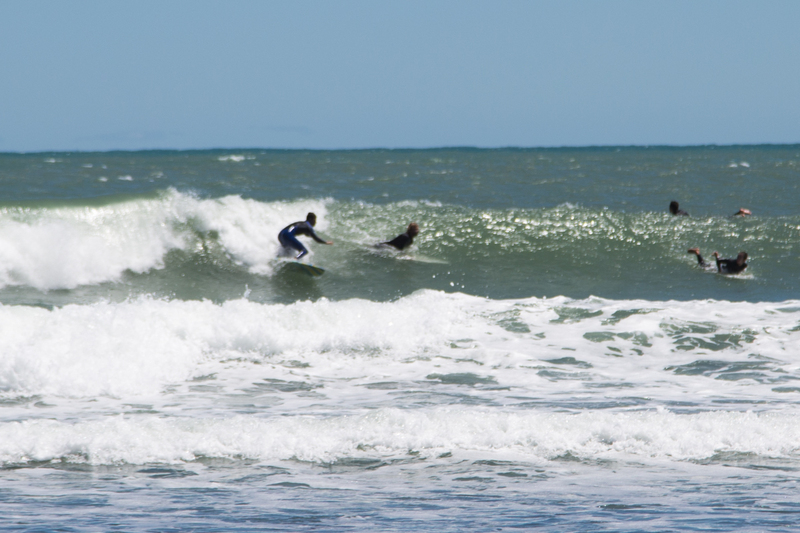 The weather was bring and sunny and the waves were small and eventually blown out, but still I got some fun, long rides. Suiting up for a surf! 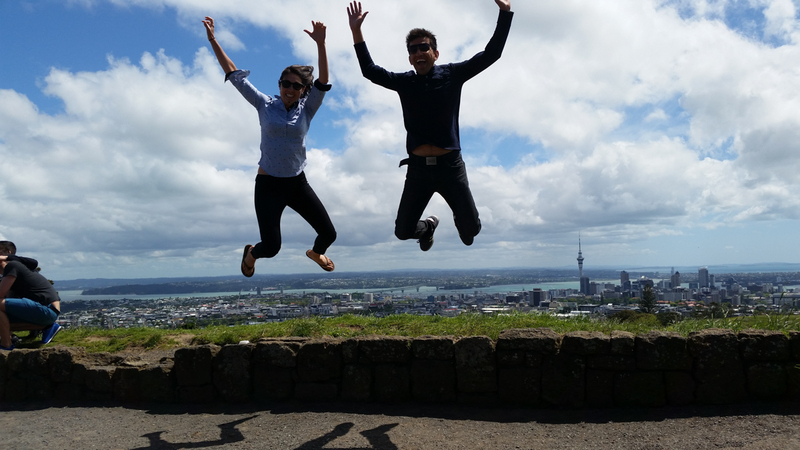 We drove back to Auckland, dropped the van off and got a ride to the airport. 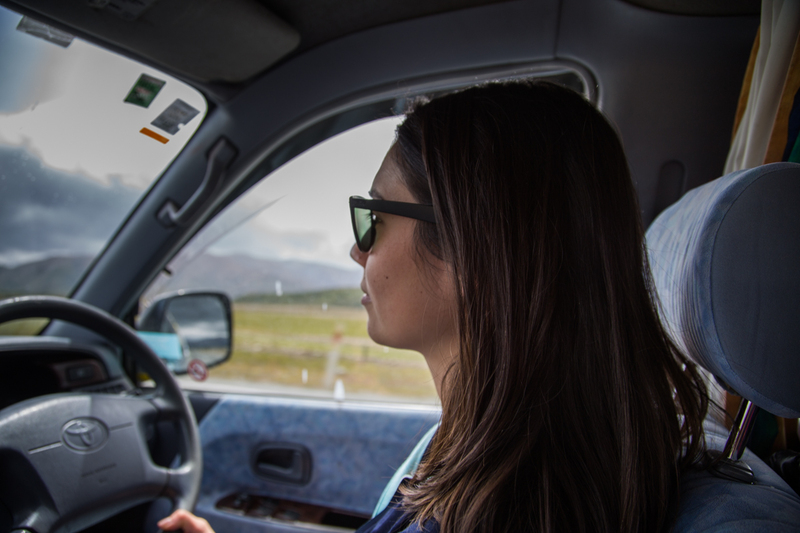 With that our epic New Zealand road trip was over … but you haven’t heard many of the best parts yet, so stay tuned for the real meat of our adventure: The South Island and Queenstown!